Renault missed a trick not selling its original Twingo in right-hand drive, the compact city car as chic as a black Gucci dress bought in Brown Thomas, yet as affordable as Dunnes. 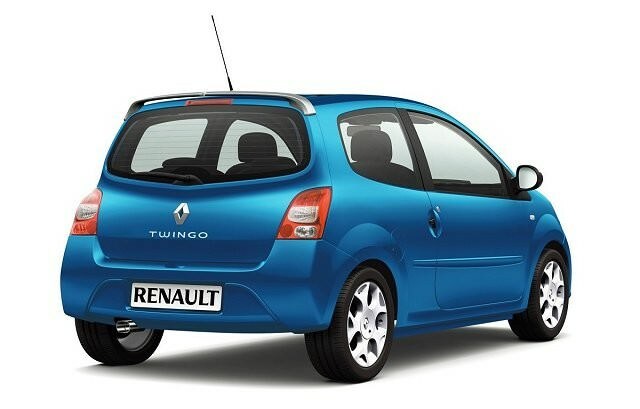 Renault missed a trick not selling its original Twingo in right-hand drive, the compact city car as chic as a black Gucci dress bought in Brown Thomas, yet as affordable as Dunnes. It remedied that in 2007, where, after the original's incredible fifteen-year model run Renault replaced its urban run-around. Following the original was never going to be easy, and although a more sophisticated, and safer, car, the Twingo II does everything its predecessor did only a little bit better - though perhaps without quite as much charm. The original might have made do with a pair of 1.0- and 1.2-litre engines, but with the Twingo II Renault added a few more powerplants to the mix. That said, you'll do well to find anything but the 1.2-litre 16v petrol engine in the Carzone classifieds, though it was offered in varying outputs of 60- and 75hp. There's also a 100hp turbocharged version for the GT model, which is quick enough for most, but if you're after a real pocket rocket then the Twingo was offered in Renaultsport (and Gordini) guise with a 1.6-litre petrol unit producing 133hp. The entire range was designed to be cheap from the outset, which makes them an affordable used buy too. That budget-conscious list price does mean that the Twingo doesn't feel quite as substantial as other city cars it competes with, so the Hyundai i10, Kia Picanto and the French/Japanese trio of Citroen's C1, Peugeot's 107 and Toyota's Aygo all offer interiors with a higher level of fit, finish and feel inside. The Renault's dash is fairly interesting though, and functional, while space is decent enough for passengers - though access to the back is tricky thanks to a three-door only shape. There are only two seats back there, too. The boot isn't huge but will swallow the weekly shopping, those rear seats sliding and folding if you need additional space. Trim levels follow the usual Renault norm, Dynamique and GTs being the most common variants available in Ireland. A facelift in 2011 gave the Twingo a bolder face and new rear lights, the interior getting some slightly better quality plastics - though they're still not up with the class best. The GT looks tempting at around 10 per cent more than a 75hp Dynamique, especially as it gains 25hp, a sharper looking body kit, alloy wheels and some additional equipment. Economy doesn't suffer greatly from the extra performance either, and it's way more fun to drive. The Twingo is a spacious, neatly styled city car that's good fun to drive. The interior lacks the quality of its main rivals but it's not so bad as to be unliveable with. Economy is good, performance (especially in the GT) excellent and value high. It's just a shame it lacks the charm of its predecessor.